At least it wasn't a French-Canadian in charge: Star Trek, Voyageur. To boldly fur trade, where no one has fur traded before. I can say that and not get in trouble as I am of french canadian descent. May I suggest HF's Shimmer (b) for your dio? Here is another link with a painted Shimmer(b). A year and a month ago already. Still quite proud of that crew. Love that my creation got a mention. I will have to give some thought to Netherhells fluff too. Hello! My Name Is... / Re: Hello! My FOD spam on the Kickstarter gained us a couple of new members ! I posted my share of FoD links too. Leaning toward Apprentice mage/liche/warlock guy. Will work him into the cult if possible. Maybe a beast master, controller of the terror grubs guy. Might need a few. Or just two, if I break the worms up into two groups. Its a thought. My plans for Ner'Gabba are show case not cult. I want the cult maggot themed, but want them devoted to his nuttiness, the TD. That is nailed down, need to pick my free hero I guess. Looking great so far. The walls and ceiling are very good. I left him standing on his foot pin after I took these photos, and he hasn't fallen over, yet. Assuming he doesn't fall over by the time I can get back to him, I can finish filling his joints. 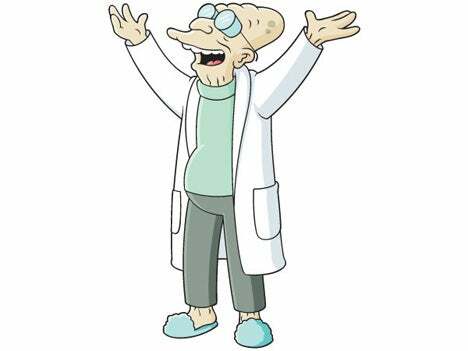 Did anyone else hear that in their head in Prof. Farnsworth's voice? General Ranting / Re: Just for Fun, Lead Pile! Let me know if these are huge. They look fine to me. I will fix, if necessary. Still have much filling to do before primer. Drilling pin holes with a power drill is a beautiful thing. Nekkid gobos = not a very good sight. Although in another way, if they are savages, it would fit to be badly/under dressed. But not with these guys. Haha. I never actually intended for anyone to follow suit. It was not a challenge, as I know some of us out there have many many boxes stored away. I also never called it a mountain, merely a pile. Have to think about that. Affraid it won't be very old though. Most of my stuff that is oop was bought after the fact. Oldest bought new mini I think would be Deth and Taxxis, although they weren't freshly released at the time. Haven't been in this as long as some people. Oldest or had the longest? While inspecting the last few parts to be attached, I noticed a part of a dead guy, with a label tagged, merkin. I had also seen this word used by one Ben Brownlie in regards to my Netherlord 1. Not being from the UK, I did not know this word, so, I had a look, in a digital book. If you are guessing that I laughed: you would be correct. Give me som coordinates. I will bust out my telescope. Current state of affairs for this guy. Since last actual progress update, fore arms and hands attached, tail attached, moved on to some spines. Then some filler then more parts go on. Moving forward. General Ranting / Just for Fun, Lead Pile! Just for fun here are a couple of photos of some of my lead pile. I got tired of not being able to find things in the drawer so put the drawer contents on the wall. Doesn't look like as much on the wall. A number of larger scale ladies in there. The Hasslefree power armor chick up front is finished, just never got a photo shoot. On the desktop not in frame are the resumed projects, Azaroth and Netherlord 2.